About 10,000 passengers, most of them with heavy luggage, change between railway and metro stations at Yeshwantpur every day. BANGLORE (Metro Rail News): The Bangalore Metro Rail Corporation Limited (BMRCL) is finalizing details of the skywalk that will connect the existing FOB of Yeshwantpur railway station platform number 6. 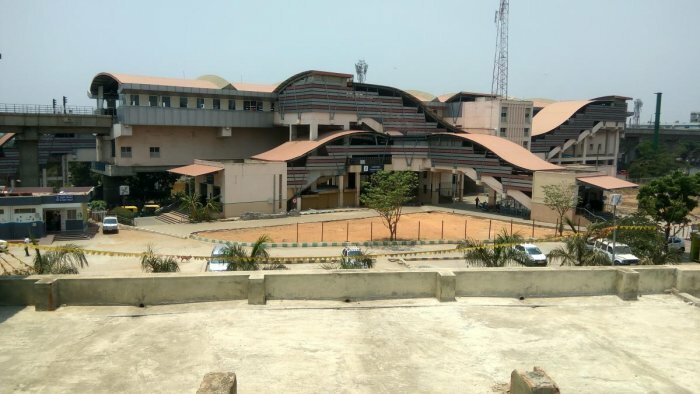 In the coming days, Shuffling between Yeshwantpur metro and railway stations will not be a hassle as work is set to begin on a skywalk to connect the existing foot overbridge (FOB) of the railway station with a skywalk from the metro station. Much to the relief of thousands of passengers. Mr. Ajay Seth BMRCL Managing Director on Friday held a meeting with South Western Railway’s officials of the Bengaluru division to get clearance for the project. “The divisional railway manager (DRM) has extended support to the project. The railways have allowed us to construct the bridge,” he said. “We received a detailed proposal but sought changes in the design of the FOB to ensure the project will not come in conflict with their station development programme,” Said SWR officials. To build a structure to provide a canopy at the entrance of the station towards Tumakuru Road works already begun. A part of disputed land between metro and railway stations has forced officials to adopt a cautious approach. “There has been no stay from the court. But I have told our officials to cross-check the same. We have already deposited the amount in court, which will be given to the owner as decided by the court,” Said Ajay Seth. About 10,000 passengers, most of them with heavy luggage, change between railway and metro stations at Yeshwantpur every day. The walks on the 50-meter stretch between the stations are painful due to the barriers of the taxi lanes cutting across the way without a dedicated path. The single FOB allowing direct connection is set to cost between Rs 3 crore and Rs 4 crore. “passenger convenience, not the cost of the project, was more important. The cost is not significant. The skywalk will benefit thousands of people,” he added. The project was proposed by BMRCL in 2016 but the railways had sought 7.47 crore for leasing the land for 35 years as well as maintenance and supervision of the bridge. In June 2018, BMRCL officials visited the spot after a report highlighted the lack of easy and safe access to the stations.